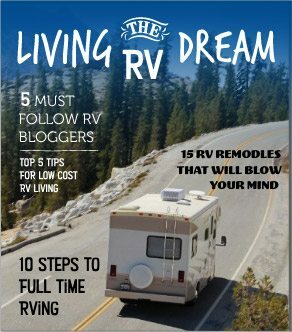 Hopelessly in love with RV living? Ready to invest in a motorhome or travel trailer of your very own? Or maybe you’re pondering your first-ever RV camping trip and not sure what all those different classifications mean. One of the best things about the world of RV camping is the amazing amount of customizability and diversity you’ll find across the industry. From huge, luxury Class A RVs whose plush amenities and multiple slide-outs will make you forget you’re on wheels, to modest camper vans perfect for a last-minute weekend getaway, there are so many different shapes, sizes, and types of RVs to consider. 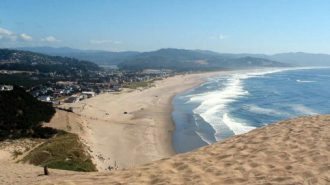 Better yet, there’s no such thing as the “best” one — it all depends on your personal preferences as a traveler and a camper. But it would be a mistake to start raking RV Trader or visiting RV dealers without having some sense of what you’re looking for. The spectrum of available options is just to wide to go in without a little bit of research to help you narrow your focus. But even if you’ve never stepped foot in a rig before, learning about the general types and styles you’ll encounter is a great starting place — which is why we put together this post! 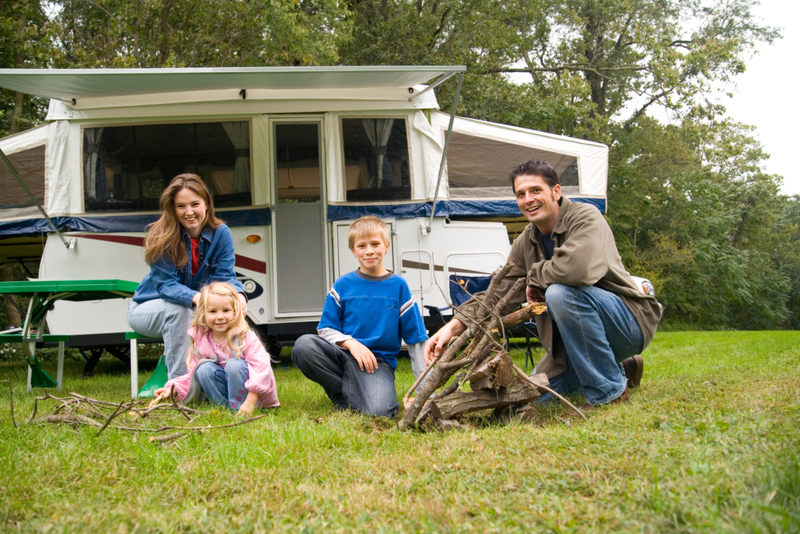 Here, we’ll give you a brief overview of the most common categories and classes of modern recreational vehicles, so you can feel confident in your quest for the perfect RV. 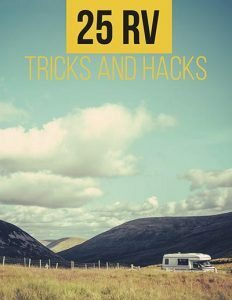 When answering the question, “What are the different types of RVs?” the first place to start is by dividing them into two categories: towable RVs, or travel trailers, and driving RVs, or motorhomes. Each of these two categories of recreational vehicles have many different subtypes, which we’ll get into below. 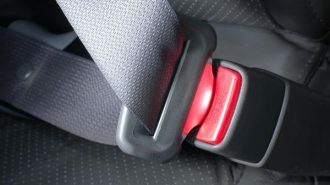 But it’s a good idea to get a handle on whether you want to tow or drive ahead of time, because it can have a big effect on your camping experience. Motorhomes also offer simplicity when it comes time to set up camp. 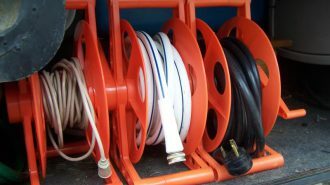 You won’t have to worry about unhitching a trailer or rolling out a pop-up, though you may still need to do some work to get hooked up and level. Travel trailers, on the other hand, have the built-in benefit of a secondary vehicle… but that means you lose the parsimony of being able to just pick up and go whenever you want. 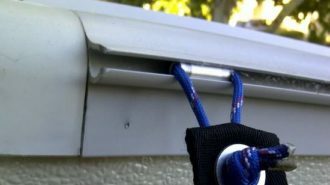 You’ll need to triple-check your hitch hookup and any extra equipment, like electronic brake controllers, before you hit the road, not to mention needing access to a large truck or SUV in the first place. If you already have a tow-capable vehicle, a travel trailer might make more sense for you. Trailers also often more living space for a smaller price, since they don’t have to devote any of their footprint to an engine or chassis. 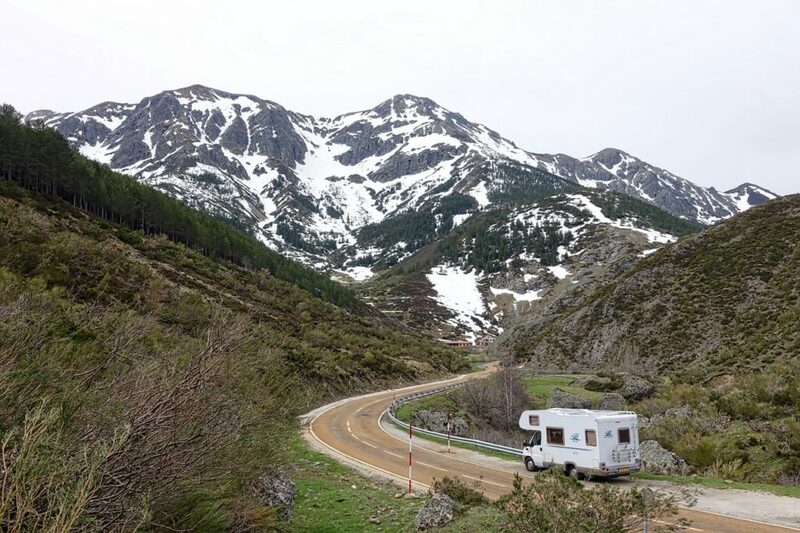 But if you’re looking for the easiest way to enjoy a luxurious camping trip without worrying about hitching, a motorhome might be a better option. And if you don’t want to tow a full-sized car, you could always consider bringing along a bike or motorcycle. Let’s take a closer look at the different styles of motorhomes you can choose from. Then, we’ll move on to travel trailers. For many of us, this is the image that first pops into mind when we hear the word “RV.” Decked out with full-sized amenities and room-increasing slide outs, certain Class A motorhomes are the highest-end, most luxury-filled RVs on the market. But you should also know that not every Class A RV is a wallet-busting, wheeled mansion. Smaller rigs with this bus-like body shape are available, and often offer some of the best bang for your buck in terms of ease of use and amenities. Class A motorhomes are available with both gas and diesel engines, the latter of which are more common in the larger, more luxurious versions. Sometimes known as “diesel pushers,” these 40-foot rigs’ engines are located in the rear of the vehicle body, which explains the nickname. Diesel engines can help propel these hefty vehicles with greater efficiency, but even still, Class A motorhomes are not known for their gas mileage. 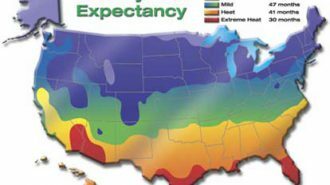 On average, you can expect to get only 6-8 miles per gallon, depending on the specific make, model, and age of your Class A motorhome. Class A motorhomes come in a variety of floor plans, and may feature one or two entry doors depending on the setup. A few popular setups include devoting the rear of the rig to the kitchen or master bedroom. Along with full- or queen-sized masters, Class A RVs often have multiple secondary sleeping spaces, including bunk beds, fold-out sofas, and convertible dining rooms. 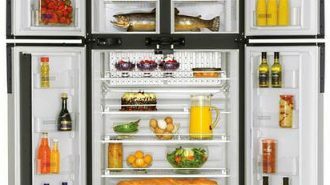 They may even include bathtubs, washing machines, full-sized refrigerators and regular (rather than convection) ovens. Class A motorhomes are the gold standard when it comes to an indulgent camping experience, but they do come at a high price. Even entry-level brands can fetch hundreds of thousands of dollars when purchased new from a dealer, and some prestigious models cost as much as half a million dollars. Also known as camper vans and sleeper vans, what Class B motorhomes give up in terms of space, they make up for in flexibility. Built into a regular van chassis, these RVs are easy to drive to any destination, and can even be used to go exploring once you get there. Unlike with larger motorhomes, you won’t have to worry about accidentally turning down a narrow, dirt road and being unable to get back out again. You’ll be able to go pretty much anywhere a regular car can go, all with the comfort of knowing your bed’s right there along with you. Of course, that small footprint does mean making some sacrifices in terms of living space and amenities. Although some Class B motorhomes have kitchen and bathroom facilities, they’re rarely as spacious or comfortable as the ones you’ll find in Class As and Cs. Sleeping spaces are also much smaller, and there’s much less room for gear (not to mention additional family members). But if you’re looking for the most flexible way to get on the road for a somewhat rugged, natural experience, Class B motorhomes are hard to beat. They’re especially great for solo travelers or adventurous couples who don’t mind close quarters. And although some basic models are available fairly cheaply, luxurious Class Bs, or larger vehicles sometimes known as Class “B+” are available, stocked with innovative, high-quality features. Despite their size, these ready and reliable rigs frequently fetch over $100,000. From converted VW vans to Mercedes Sprinters, Class B motorhomes truly are a camping lifestyle and category all their own, with a version available to meet every camping style and budget. 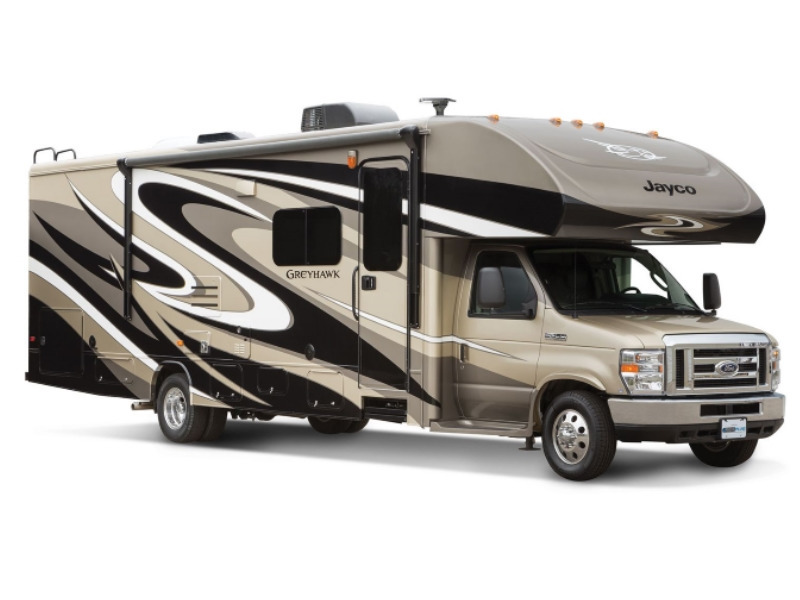 Class Cs are kind of the Goldilocks of motorhomes. They offer a lot of the indulgent amenities of Class As at a (usually) lower price point, and in some cases they’re small enough that you likely won’t feel quite so overwhelmed the first time you take the driver’s seat. With their iconic over-chassis sleeping (or storage) compartment, they’re a great choice for couples traveling with older kids who want some space of their own. Class C motorhomes are built into regular truck chassis, which means if you feel comfortable driving a pickup, you’ll likely feel at least alright behind the wheel of one of these guys. Like Class As, they often feature slide outs and fully-functional kitchens, as well as bedrooms with regular mattresses in addition to the overhead sleeping space and fold-out diner and sofa options. Class Cs come in quite a range of sizes, with miniature versions like Winnebago’s Minnie Winnie available at 20 foot lengths or even shorter. On the other end of the spectrum, they can run as long as 38 feet like their Class A counterparts. Although bigger, weightier Class Cs might have similar fuel efficiency to Class As, smaller Cs offer a little bit more for your dollar, with averages between about 8-13 mpg. They’re flexible, utilitarian, and capable of all sorts of adventures. Looking for a recreational vehicle that goes where it’s towed? Don’t want to sacrifice valuable living space to a driving chassis? In many ways, opting for a travel trailer can offer you a lot more flexibility in your camping experience, not to mention more space. Even small towable campers can feel much larger than their self-propelled counterparts, since none of the living room is taken up by steering and navigational machinery. And on their own, trailers are often much more affordable than even small motorhomes. You’re not purchasing an engine, which saves you thousands of dollars. 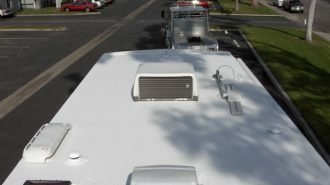 Of course, you do still need a high-powered engine around to tow the RV with, and if you don’t already have a large truck or SUV, the full rig setup could still be quite expensive. The towing vehicle itself can be both a blessing and a curse: you’ll automatically have a getaway buggy in which to tool around your destination, but it’s likely to be a big, bulky truck that wasn’t exactly designed for city driving. And unlike with a self-powered motorcoach, setting up camp requires more than just shifting into park and getting up out of the driver’s seat. 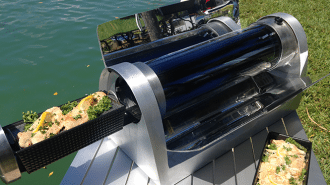 You’ll need to disconnect and level the trailer at a minimum, and with small, pop-up versions, you may have to laboriously crank the tent open. 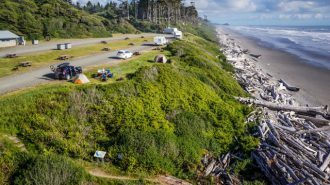 But whatever extra complications pull-behind campers may add to your RV experience, they more than make up for it in utility, diversity, and even build quality in many cases. 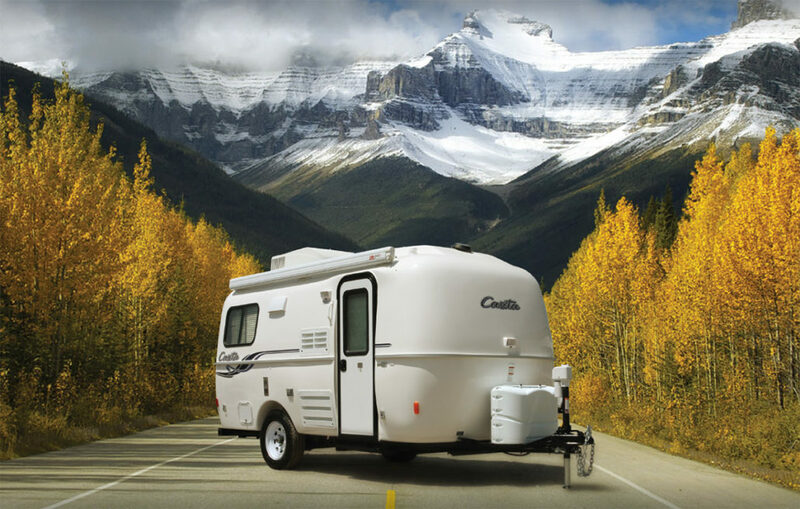 In fact, some of the most iconic, well-respected RV manufacturers in the industry primarily or exclusively produce travel trailers, like Casita and Airstream. These RV brands are highly sought-after, and could even be said to have a cult following of sorts, thanks to their appealing design and sturdy construction. While “travel trailer” as a generic term describes any towable recreational vehicle, there are a few specific subsets to explore. Let’s take a closer look at some of the most common types of RV trailers you’ll find on the road today. 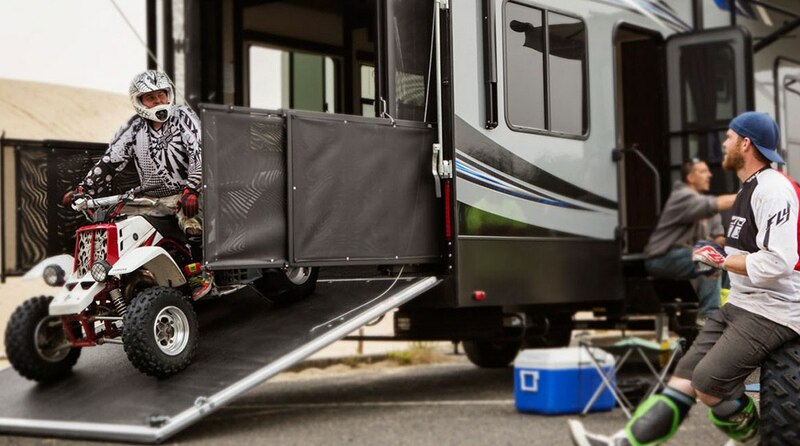 Undoubtedly a familiar profile to anyone who’s spent time in an RV campground, the fifth wheel’s overbed hitch gives it the distinction of being the biggest RV footprint style available — and yes, that includes the largest Class A RVs available. 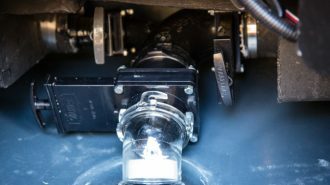 A 40-foot fifth wheel can have as many as five slide outs, creating a mobile mansion that almost resembles the inside of a standard sticks-and-bricks home when fully extended. 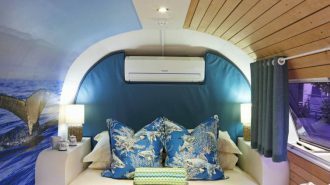 Without having to deal with a space-consuming chassis, manufacturers are free to pack in as much luxury as possible, including full-sized kitchens with islands and master bedrooms that rival hotel rooms. The over-hitch area might be devoted to an entertainment system or additional sleeping space, accessed by an internal set of stairs. Of course, you’re going to need a serious tow vehicle to pull one of these babies, not to mention the special bed-hitch construction a fifth wheel requires. A full-sized pickup truck like an F-350 will do the job, but purchasing one new can cost just as much as the trailer itself. Want to bring your ATV, snowmobile, golf cart, or other large “toy” along for your camping trip? 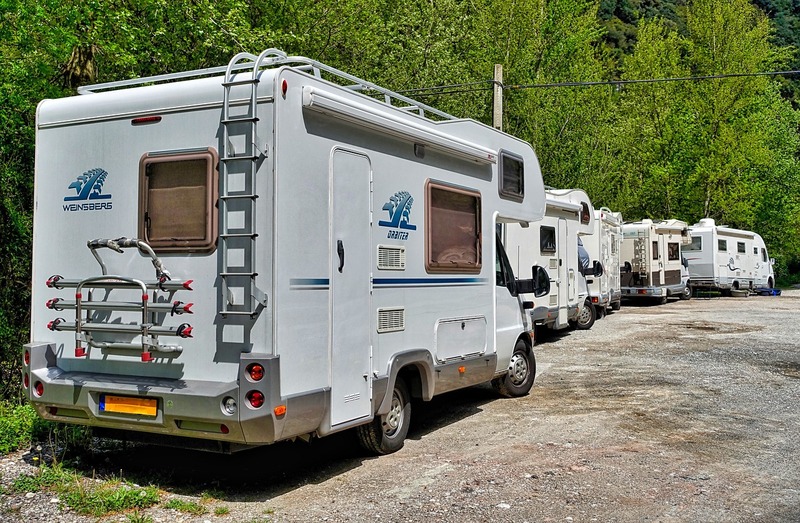 In a motorhome, you’d have to choose between hauling a toad and bringing your adventure vehicle — or double-towing, which is both complicated and, in many places, illegal. But with a toy hauler, you can have your cake and eat it, too. You drive a truck, which pulls a trailer, which features a spacious “garage” in the back with ample space for heavy equipment. Despite the chunk of living space taken up by this garage, toy haulers still boast some of the most luxurious interiors in the travel trailer industry. It’s the perfect way to transport you, your family, and your favorite toys to any destination, without making sacrifices to comfort or style. 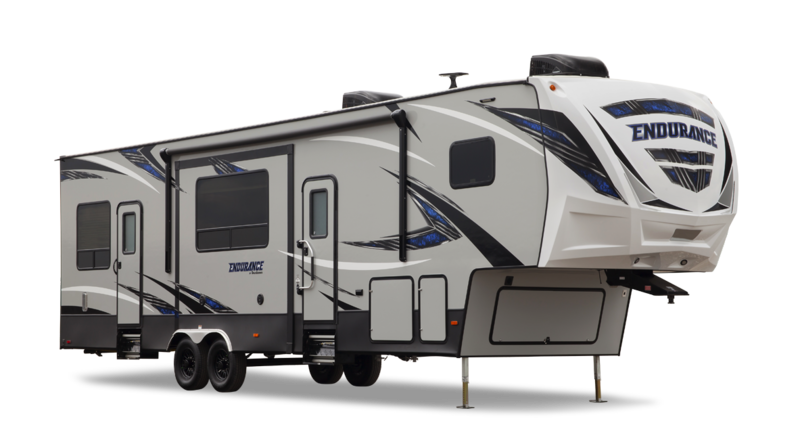 Toy haulers, like other travel trailers, come in a wide variety of sizes, starting as small as 20 feet and going up to 40. How much weight your trailer can tow (i.e., how big of a “toy” you can haul) will vary depending on the overall size, as well as the GVWR of your tow vehicle. Hauling more weight than your tow vehicle is rated for is dangerous and can also void your insurance coverage, so always consider your total cargo weight before you hit the road. 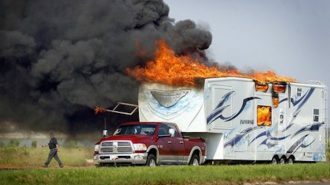 That advice goes for all travel trailers, by the way, not just toy haulers! Perhaps the most accessible camper trailers, pop-ups are the perfect solution if you don’t have (or want to invest in) a large tow vehicle and are looking for an upgrade to tent camping. With canvas walls that allow the vehicle to fold down into a compact, easily-maneuvered unit, pop-ups are mini camper trailers that can go just about anywhere with ease — and they’re pretty darn affordable, too. While the interior fixtures might not be the most luxurious or comfortable on the market, even a folding mattress is a far cry from a sleeping bag, and even rudimentary kitchen and bathroom facilities makes any camping trip far more convenient and comfortable. Pop-up trailers start as small as 8 feet in length when folded up, though the expandable walls can make even these tiny footprints feel surprisingly spacious. The largest models are 16 feet when closed, and almost double that when fully extended. Folding tent campers do require more setup than other types of travel trailers when it comes time to set up for the evening. 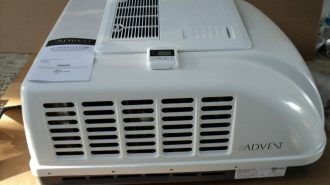 In the case of older or entry-level models, the wall extension is sometimes done by hand crank; higher-end pop-ups may feature automatic expansions requiring little more than the press of a button. Tow vehicle requirement: Varies, but most full-sized SUVs are powerful enough, and some ultra-light pop-ups can even be pulled by sedans! 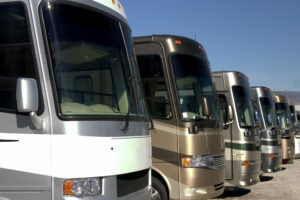 Ready to Find the Best RV for You? 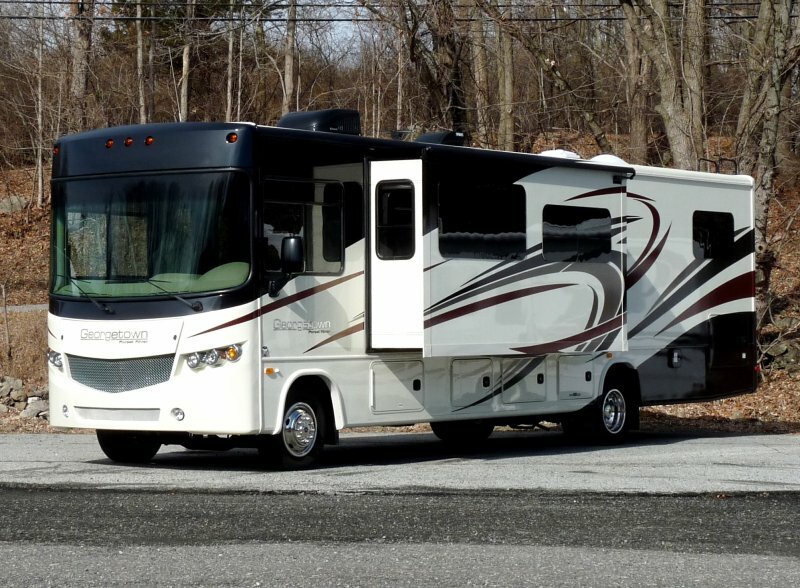 Even with all the different models, classes, and types of rigs we’ve examined in this post, there are still lots of other RVs out there on the market. 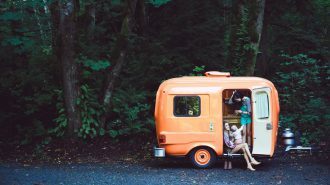 Teardrop trailers, VW vans, and converted vintage buses are just a few of the quirkier ways clever campers take advantage of the RV life’s comfort and convenience. 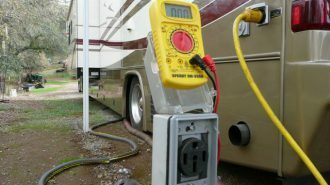 As the RVing industry continues to grow and draw more and more adventurers into this unique travel lifestyle, manufacturers and inventors will continue to innovate even more amazing camping technology. 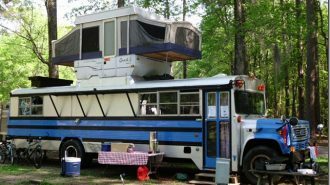 After all, RVing has only been around for about a hundred years now, and we already have such an incredible diversity of vehicles and options. Imagine what our RVs will look like by 2050! 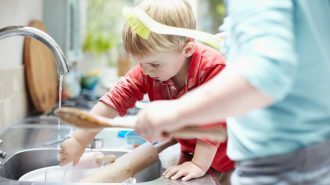 Finding the right RV for your family can be a daunting process, especially if you’re on the market to purchase one of your own. Even small, modest models can cost tens of thousands of dollars, which is no small investment for most of us. Researching different types of RVs online and checking out the information available from different RV brands, dealers, and manufacturers can go a long way toward helping you narrow down your options from the huge array that’s available. But as we mentioned above, the very best advice we have for those looking to purchase their own RV is to experience as many vehicles as possible as thoroughly as possible, both through dealership and RV show walkthroughs and with actual camping trips, if possible. Trying out multiple RV body styles, sizes, and classes is the best way to know for sure which best suits your camping needs and preferences. A particular rig’s amenities and abilities may look great on paper, but you won’t realize what features you’re missing (or what extras you don’t really need) until you’ve actually got the vehicle on-site at your favorite destination. 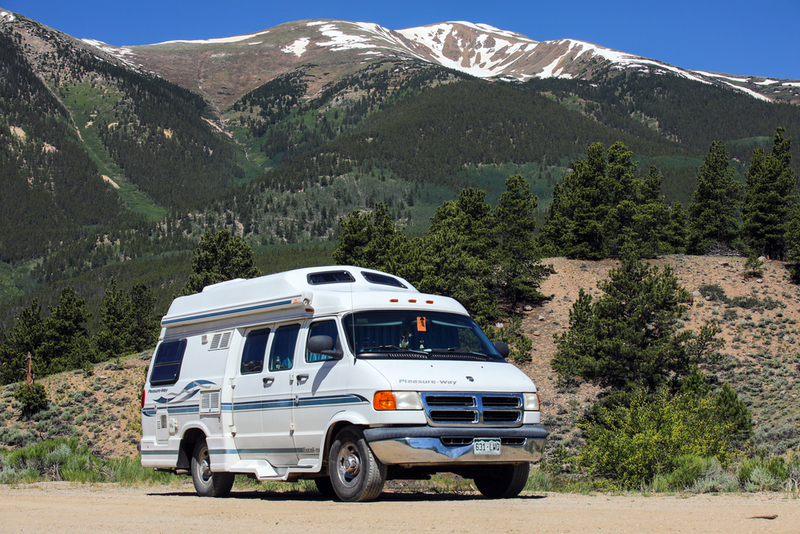 Fortunately, renting a variety of different RV styles is both accessible and affordable through the peer-to-peer market, where owners list rigs of all stripes for rent in every corner of the country. The search for the perfect RV may be time-consuming, but it’s worthwhile to wait until you feel confident about your purchase. And besides, as far as research assignments go, taking a bunch of different camping trips sounds like a pretty painless one! Plus, we here at RVshare are ready to help you at every step along the way. When you’re still in the rental phase, we make your experience worry-free with our included insurance coverage, secure payment platform, and 24/7 roadside assistance — not to mention the blog you’re reading now, which we keep updated and chock full of the latest and greatest RV tips and tricks. And down the line when you become an RV owner yourself, well, RVshare will still be here with valuable information… and a valuable earning opportunity if you decide to list your own rig for rent. Nothing like coming full circle, right? 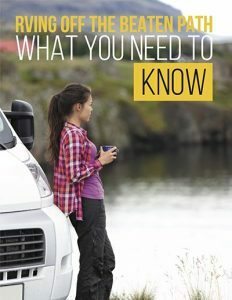 From figuring out which is the best SUV for towing a travel trailer to learning what exactly emptying your RV’s holding tanks entails (hint: it’s not that bad, we promise! ), there’s no doubt about it: the #RVlife learning curve is real. But it’s not a particularly steep one, especially when you have the RVshare blog on your side to help guide you along the way. 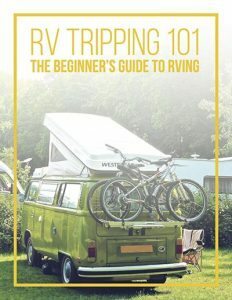 Whether you’re heading out for your very first camping trip ever, are thinking of upgrading from renting to owning, or even if you’re getting ready to take the leap into living the full-time RV lifestyle, we’ve got the up-to-date and accurate information you need to make your decisions and transitions as smooth as your favorite highway. 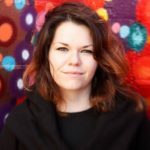 Here are a few posts and pages to get you started. Check out the RVshare RV Show Archive, organized by state — RV shows are a great way to pack a lot of learning and first-hand experience into a single weekend! Don’t Be Shy: Touch and Test Before You Buy! No matter where you are on your RVing journey, we’re here for it — and w’ll see you around the campfire. Happy trails!